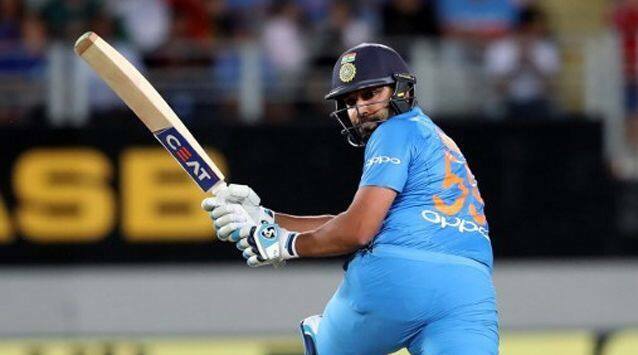 With his third six of the match, in the eighth over bowled by Ish Sodhi, Rohit went past Martin Guptill’s T20I runs tally of 2272 to becomes the highest run-getter in T20Is. 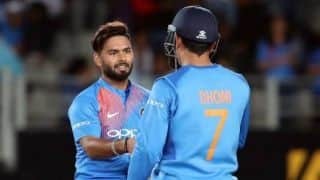 But Sodhi had the last laugh when Rohit -after completing his 16th T20I fifty – was holed out in the deep in the deep in the 10th over. An over later, Dhawan who had made 30 off 31, was bounced out by a Lockie Ferguson bullet. 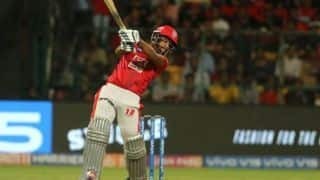 One down Rishabh Pant started off with a four towards extra cover off Ferguson, but India lost another wicket in Vijay Shankar – not before hitting a four and a six – taken by Daryl Mitchell. MS Dhoni (20*) and Pant (40*) then knocked off the remaining runs with ease to lead India home with seven balls remaining. For NZ Sodhi, Ferguson and Mitchell claimed one wicket each. 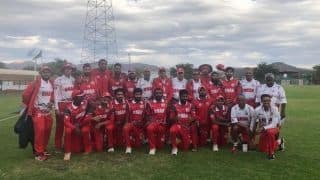 Earlier, An umpiring error that promises to make headlines in the days to come threatened to overshadow a vastly improved effort in the field from India that had NZ limping to 158/8 in 20 overs. 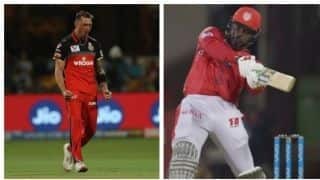 Around the TV umpire Shaun Haig’s controversial decision to send Daryl Mitchell on his way despite HotSpot showing an inside edge, the Blackcaps lost three wickets in nine balls for three runs to Krunal Pandya and after a dazzling 50 from Colin de Grandhomme the hosts were chocked in the back end of their innings. India’s pace bowlers allowed just 53 runs from the last seven overs, during which time New Zealand found the boundary only once. 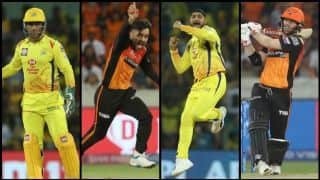 Bhuvneshwar Kumar and Khaleel Ahmed began with tidy opening overs, and in his second the former had Tim Seifert – after a six and four in successive balls – edging to MS Dhoni for 12. Kane Williamson and Colin Munro tucked into Khaleel and two fours to Williamson off Hardik Pandya took New Zealand to 40/1 after five. Then Krunal struck. To his second ball, Munro mistimed a booming shot to cover for 12 and then off the last ball of the over, Mitchell was given lbw when he missed a flat arm ball when playing around his front pad. From the nonstriker’s end, Williamson walked down to Mitchell – playing his second international match – and had a word with his partner after which the rookie requested a review. Replays soon showed a white blot on HotSpot as the ball passed the bat, suggesting an inside edge. However, when the DRS showed the ball hitting all three wickets the verdict for lbw was upheld by TV umpire Haig, to Williamson’s shock. 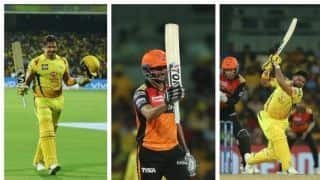 That double-wicket over from Krunal was followed by a third in second, as Williamson swept a ball that stayed low and was ruled lbw. It was dead in front of the stumps, so there was no need to review. 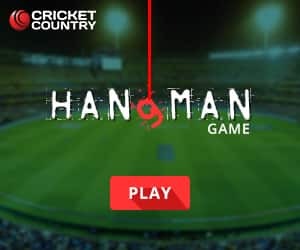 From 50/4, New Zealand were revived by de Grandomme who opened his shoulders to strike Yuzvendra Chahal for a four and two sixes in three balls, each shot dripping with the force of a man on a mission. 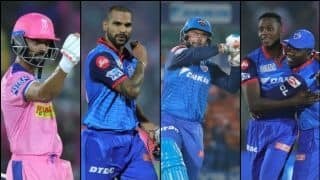 Two more sixes off successive balls followed to spoil Krunal’s figures somewhat – though 3/28 in four overs is very good 0 – but matters were contained by Chahal, Hardik and Khaleel between the 13th and 15th overs. Ross Taylor was forced to run singles as the hit-me balls dried up and de Grandhomme was also slowed down. 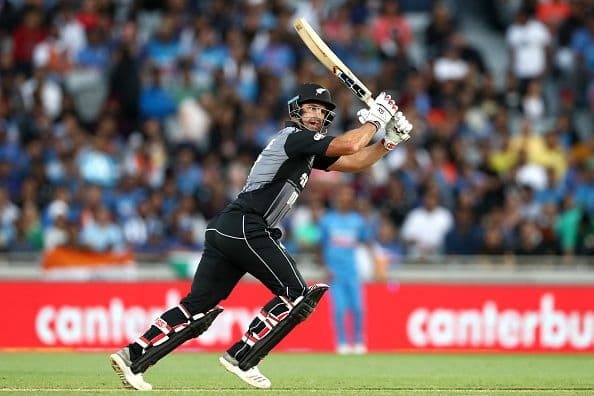 With a harried two, de Grandhomme raised his maiden T20I fifty off 27 balls with a harried two and drove the next ball from Hardik straight into cover’s lap. 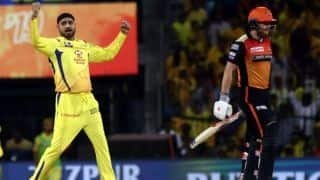 Bhuvneshwar returned to concede seven runs in the 17th over, Hardik gave nine in his last to end with 1/36 from four and Bhuvneshwar hit accurate areas in the penultimate over which cost eight. 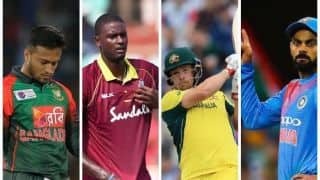 A terrific direct hit from the deep by Vijay Shankar ran out Taylor for 42 off the last ball of the 19th over to add to India’s excellent effort in the field.